I have been reading an excellent book given to me at Christmas about Kenneth Grahame's life by Matthew Dennison called 'Eternal Boy'. 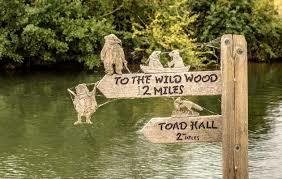 As most of you readers will know 'The Wind in the Willows' is one of my very favourite books and I thought you might like a snippet of information about the author's life. what makes me who I am. Lovely blog and poem. 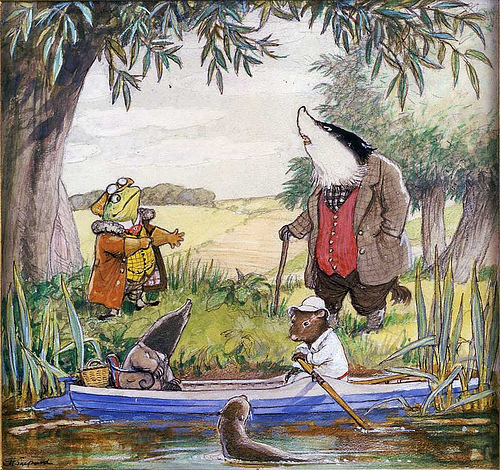 Perhaps Grahame wouldn’t never have written if he’d lived in the countryside. I understand your sentiment about realty special old books - very nostalgic. Also, John Cunningham died this week which made me sad and loved remembering his illustrations of Mr Gumpy’s Outing: that was an favourite too.